Florida’s Brevard Zoo's plans for a lagoon-themed aquarium has received a boost from a US$10m (€8.5m, £7.6m) tax funding scheme from Brevard County. The Indian River Lagoon Conservation Campus and Aquarium will have a large educational component, focusing on the lagoon itself, with 12 indoor and five outdoor exhibits. Zoo executive director Keith Winsten said he sees the project as a "front porch” on the Indian River Lagoon, which the zoo sits next to. The zoo is planning a 130,000sq ft (12,077sq m) facility, with 60,000sq ft (5,574sq m) of it enclosed, and an admission price of $24.95 for adults, $19.95 for children 3 to 11, and free for children under 3. About 425,000 people a year visit the Brevard Zoo. The 57-employee aquarium is expected to increase that number and boost local tourism figures and the local economy significantly. The funding is the first step in the zoo’s goal of US$70m (€59.5m, £53.3m) in total funding for the project. Another US$10m (€8.5m, £7.6m) is likely to come from the State of Florida, with the remainder coming from a mixture of corporate backing and debt financing. "This is a big step, but it's only the first step," Winsten said. "We have a lot more to go." The Indian River Lagoon is a 156mi (251km) group of three lagoons, which is home to more than 10,000 species of plants and animals. 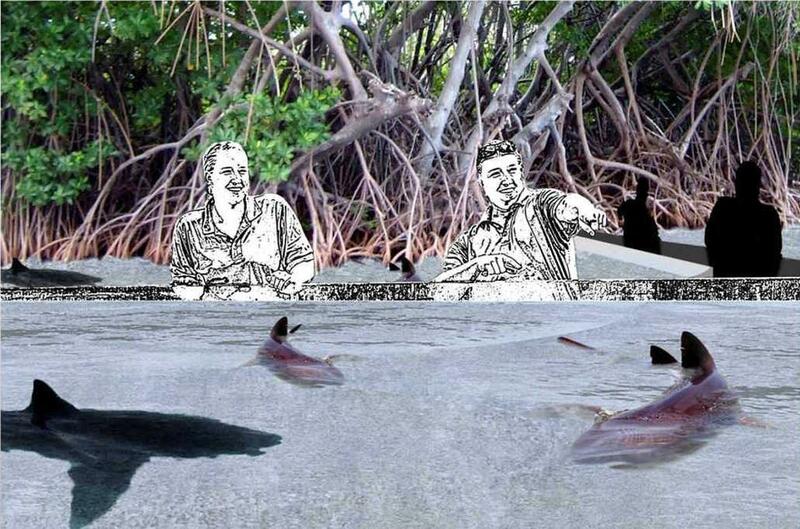 Brevard Zoo’s plans show the aquarium acting as a focal point on the Banana River section, which stretches 31mi (50km).